Schoology Ambassadors are passionate, engaged, and knowledgeable leaders who are the voice of our growing community. 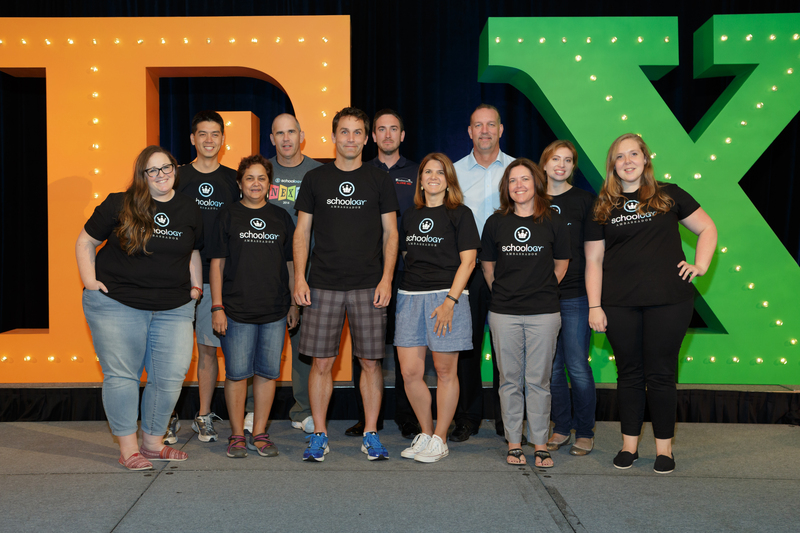 We learned so much from the Ambassador Beta Class announced here in April, and today, I'm excited to announce that we are opening Schoology Ambassador Program applications to the entire Schoology community. Respond regularly to questions and contribute to the collective knowledge of the Schoology community in Schoology's Public Groups and on social media. Own your expertise and elevate yourself as a thought leader by having your content shared through Schoology's networks. Earn an exclusive Ambassador badge to display on your Schoology profile, a featured Ambassador profile on Schoology's website and blog, and a chance to win the Schoology Ambassador of the Year Award. New Ambassadors are selected annually (September) and may remain an Ambassador for as many terms (one term = 12 months) as they wish. If you're not ready to be an Ambassador yourself, consider nominating a colleague or member of your PLN. Up to three nominations can count for points on their application. The deadline to be considered for the 2015-2016 Schoology Ambassador Program is Friday, October 2, so don't delay. We're excited to hear from you!